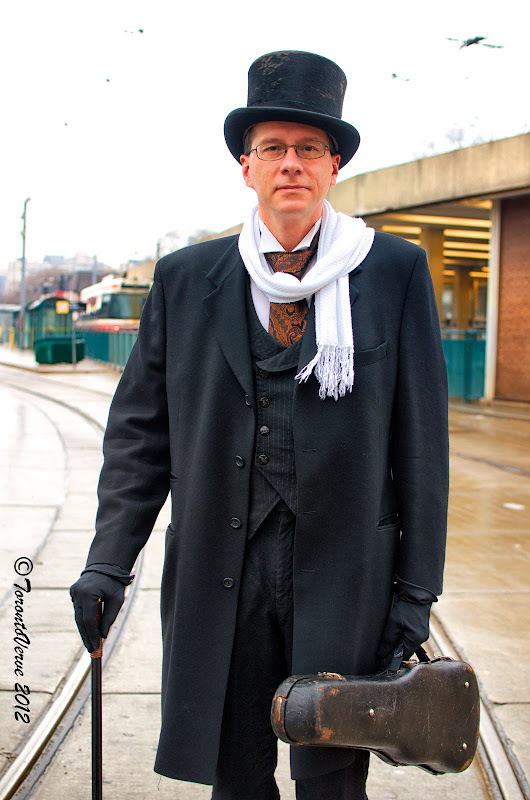 "My style is Neo-Victorian with a touch of steampunk. I dress like this all the time and occasionally I'll wear a British uniform. Generally, I get favourable reaction from the public. A lot of people recognize steampunk. Often, people will pull out their cameras. It's a lot of fun." 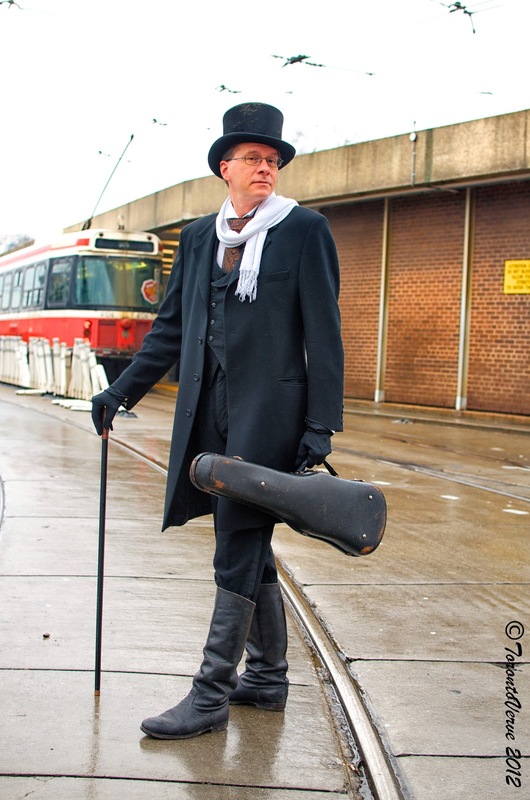 And you found this guy at Dundas West? I'd dress like the Artful Dodger all the time if my bottom wasn't so big.